Jay Z, Kanye West, and Drake all dropped new albums this year and — naturally — they all received tons of hype in the process. But without a doubt, the most buzzed about album in hip-hop has got to be Pusha T’s debut solo album My Name Is My Name. And never has so much buzz felt so right. 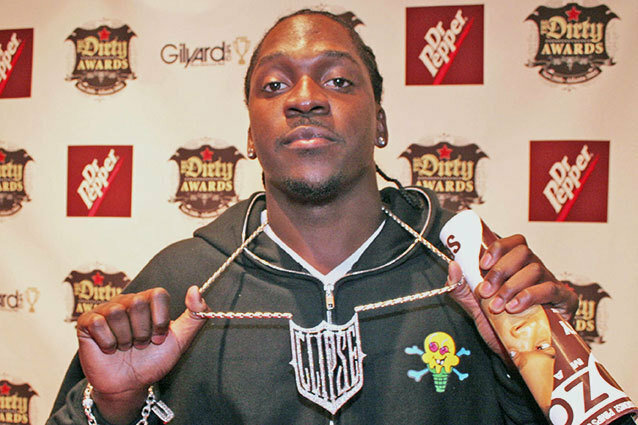 One half of the critically-acclaimed group The Clipse, Pusha has been dropping mixtapes and powerful verses throughout the last few years, but now we get to really experience him as a solo artist. And many folks in the know are saying the experience will be a game/life-changer. Pusha’s album was officially released Tuesday, and if you haven’t already copped it, here are a few nudges in the right direction. He may have been/was definitely drunk, he may have been over-the-top, but when Kanye West interrupted Pusha T’s listening party and dropped the most epic rant in the long, long history of Kanye West rants, we knew My Name Is My Name must be the truth. When Pusha’s single “King Push” was released, a very strange rumor came along with. Joaquin Phoenix (yes, Oscar-nominated Joaquin Phoenix) was alleged to have co-produced the beat with Kanye. Crazy, right? And kind of awesome. Phoenix reportedly came out a little while later and said that he didn’t actually produce the track, but introduced the producer (a friend of his son’s) to Kanye’s camp. Either way, the Joaquin Phoenix connection is plenty to get psyched about. Now if you haven’t heard “King Push” or seen the video, well then. We’re here to help. And you should probably prepare for the death of hip-pop. Pusha’s not here to sing hooks. Not ever. Not even a little bit.